A complete list of dates and locations for workers’ compensation safety training classes is now available. 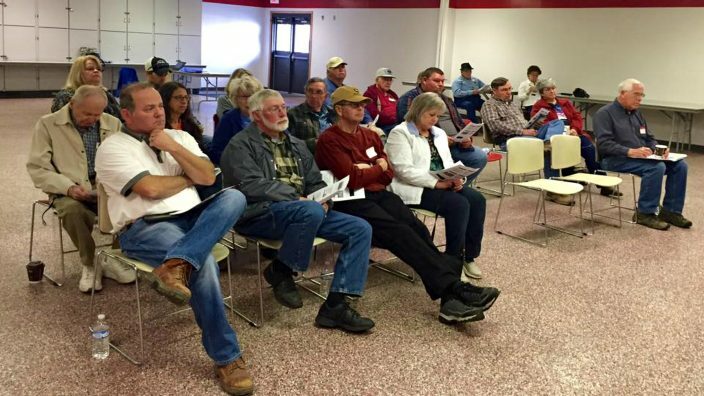 Ohio Farm Bureau’s Workers’ Compensation Group Rating Program members are required to attend one safety seminar per year to remain eligible in the program. The program enables small employers with better-than-average claim histories to combine claim expenses and rate calculations to take advantage of premium savings currently reserved for large employers. Most members save the maximum 53 percent allowed by the Ohio Bureau of Workers’ Compensation. If interested in participation in the program, call CompManagement at (800) 825-6755, option 3 or request a quote. View a complete list of dates and locations. 3/27/18 | 6 – 9 p.m.
3/15/18 | 9 to 12 p.m.
3/26/18 | 6:30 – 8:30 p.m.
4/3/18 | 9:30 – 11:30 a.m.
2/27/18 | 2 – 4 p.m.
3/15/18 | 9 a.m. to 12 p.m.
3/10/18 | 9 -11 a.m.
3/6/18 | 9 a.m. – 12 p.m.
2/2/18 | 10:30 a.m. to 2 p.m.
3/6/18 | 9 a.m.- 12 p.m.